Camac made lever harps reflect the same excellent care and innovation that their wonderful pedal harps demonstrate. Camac makes a great variety of lever harps from the small 22 string Bardic, through the 40 string Mademoiselle, and includes models strung in fluoro carbon , gut, and nylon depending on the model. Camac levers have been acknowledged as the best available anywhere today. Camac Harps are made exclusively and entirely in France. Camac performs all its wood and metal manufacture in a meticulous and environmentally sensitive manner with excellence. 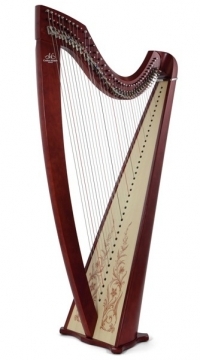 A harp of timeless beauty, available in Celtic and Classical Style models. 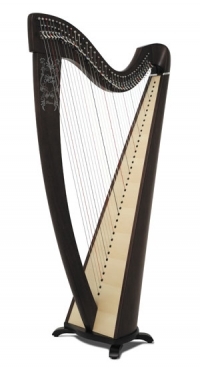 The Korrigan harp is the perfect solution for harpists who want a gut-strung Celtic harp of 38 strings.